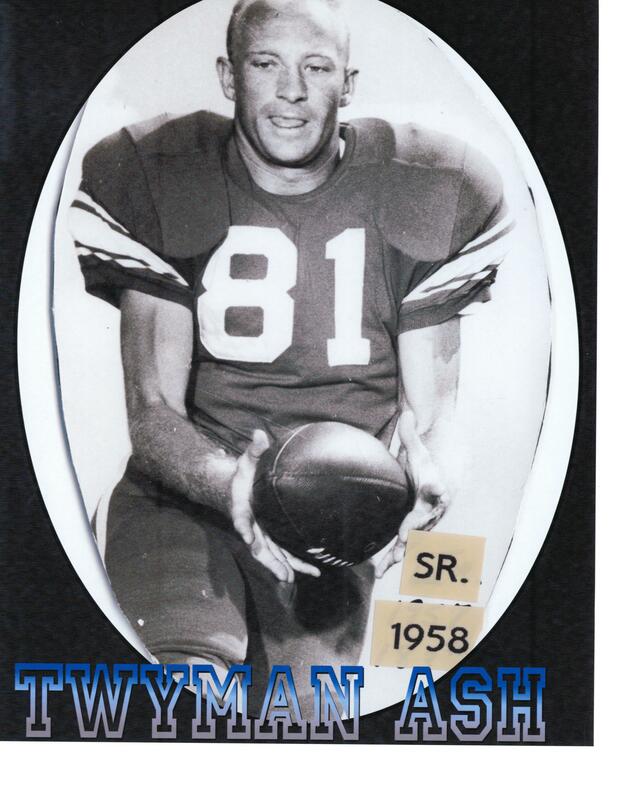 Ash was a two-year starter in football, basketball and baseball at Abilene High. 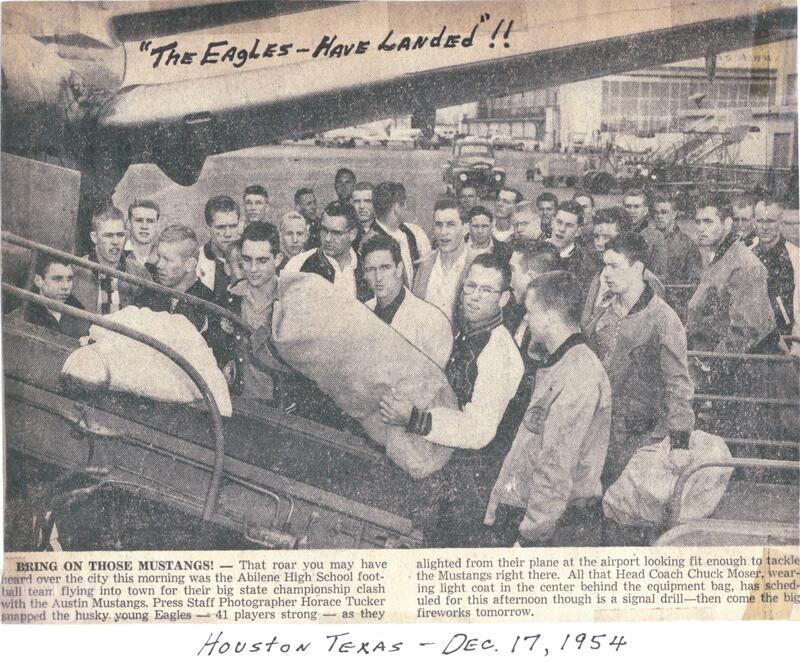 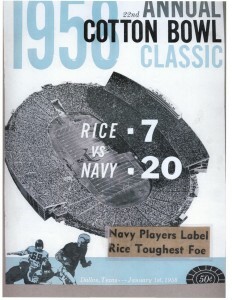 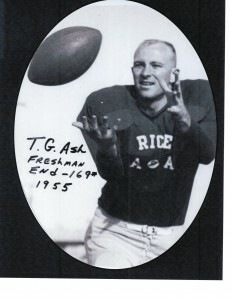 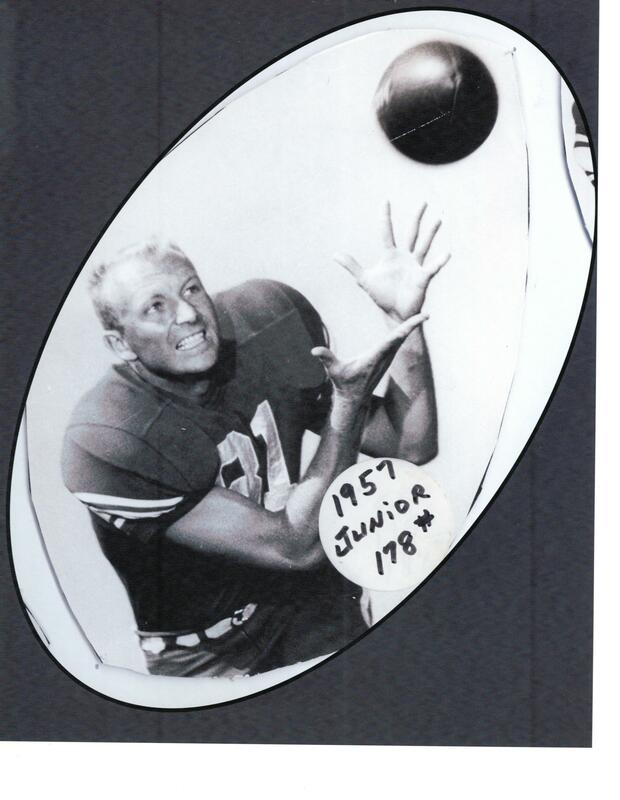 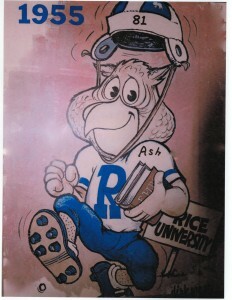 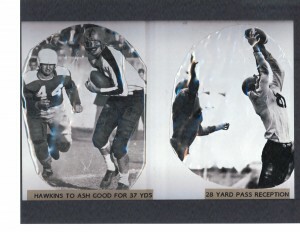 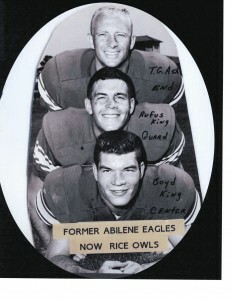 He was an all-state selection in football in 1954 and went on to play football at Rice University. 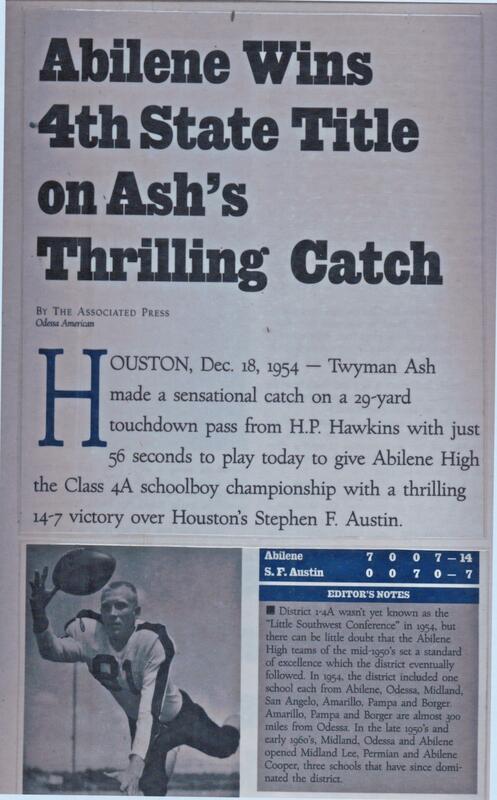 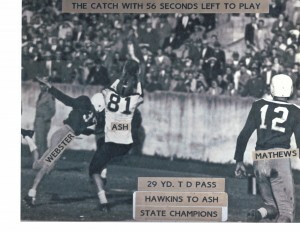 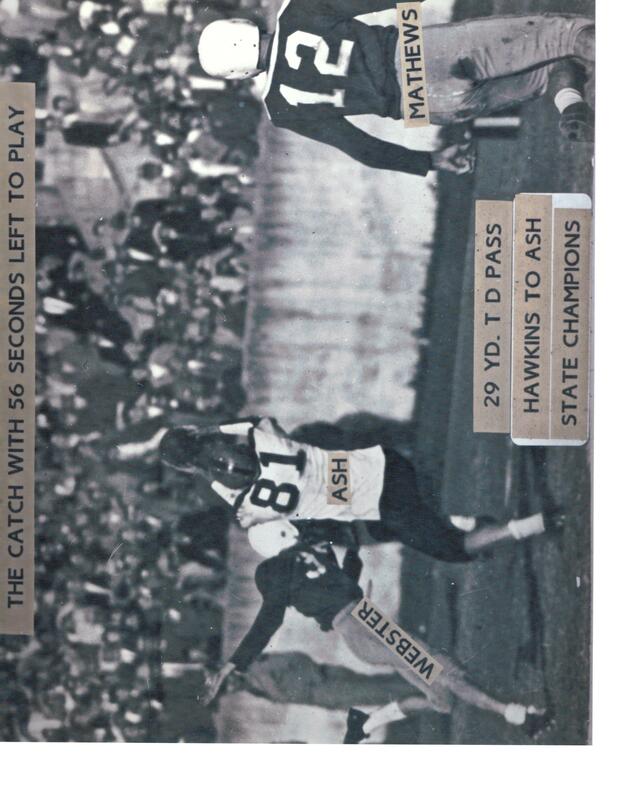 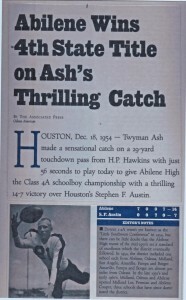 Ash is best remembered for his finger-tip catch for the winning touchdown to give the Eagles a 14-7 win over Houston Stephen F. Austin High School. 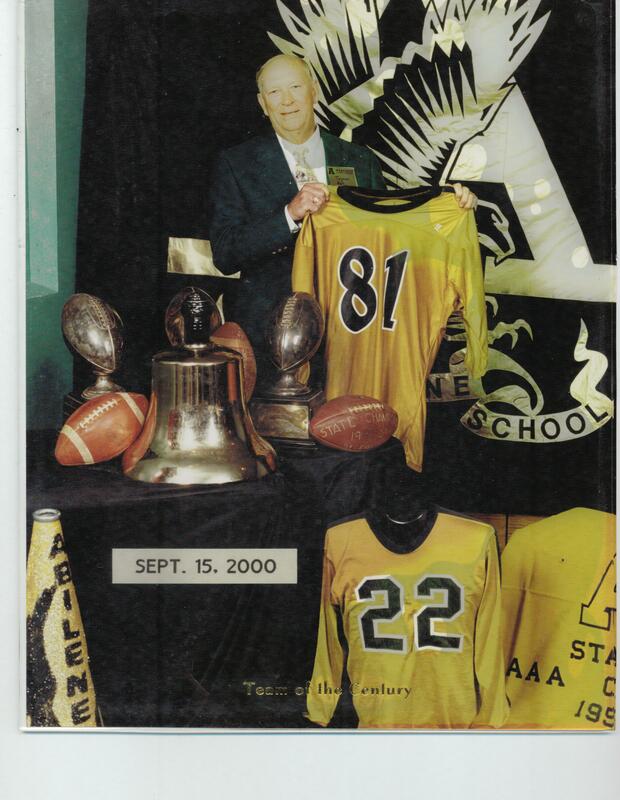 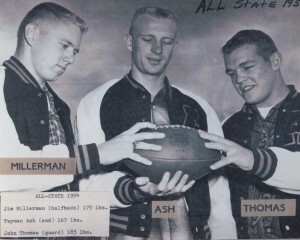 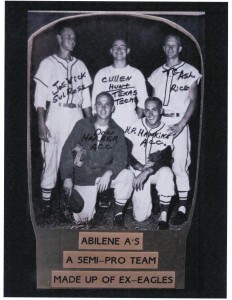 That was the key play in the first of Abilene’s three consecutive state championships under coach Chuck Moser, a fellow member of the Big Country Athletic Hall of Fame.